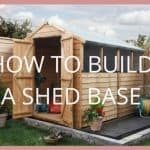 Before deciding on the log cabins you want for your garden, you should consider any planning regulations which could apply to your garden building. 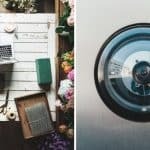 Without the correct knowledge, you could purchase a your new luxury log cabin, only to find out that you can’t place it where you would like to! 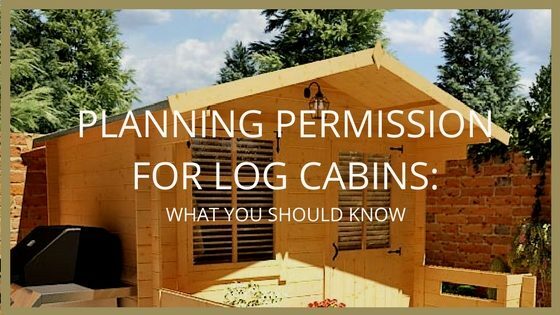 Does planning permission always apply to log cabins? No, generally log cabins will be classed as ‘permitted development.’ This doesn’t mean however, that you shouldn’t check with your local planner or Planning Portal. The larger the log cabin and the closer it is to your property boundary, the more likely you are to need permission. If your log cabin is 2 metres from the boundary, the highest eaves height is 2.5m and a ridge height (the highest point) of 4m. 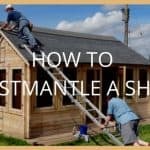 Unless you really have to place your cabin 2 metres from the boundary, save yourself any hassle by keeping it more than 2 metres away from the edge of your garden. However, If you choose a pent (flat) log cabin, you won’t have as many restrictions and can get away with a height of 2.5 metres as there are no eaves! In other words, this means that the height of the log cabin should not exceed four metres if it has a ridged roof or if not then it shouldn’t exceed three metres. This applied to all garden buildings and enclosures. Is your Log Cabin within ‘permitted development’ regulations? 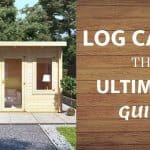 The log cabin which you are going to place in your garden needs to be within the permitted development, meaning it needs to be within 2m of the property boundary. However, there is some good news. The Town and Country Order was changed in 2008 with the rules becoming more relaxed in terms of how close the building can be positioned from your house. It used to be necessary to ensure a five-metre separation, but now this is no longer required! This means you can place your log cabin as close to your house as you would like. When is a log cabin no longer a ‘permitted development’? Garden Cabins – these are classed as an outbuilding and therefore considered as permitted development. You must follow the restrictions but you do not need planning permission as such. 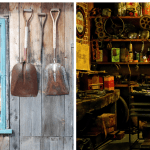 Woodland Cabins – for those who own a piece of woodland and require a log cabin for a tool shed, store or generally working or maintaining the land, then the cabin is classed as permitted development. Agricultural accommodation – This is not a permitted development and therefore falls under ‘special case.’If you want to add a log cabin to farm land, then you do need to tell the council why the log cabin is there.